At Google Dance Singapore, Gary Illyes from Google revealed a new feature that is coming to the Google search results. 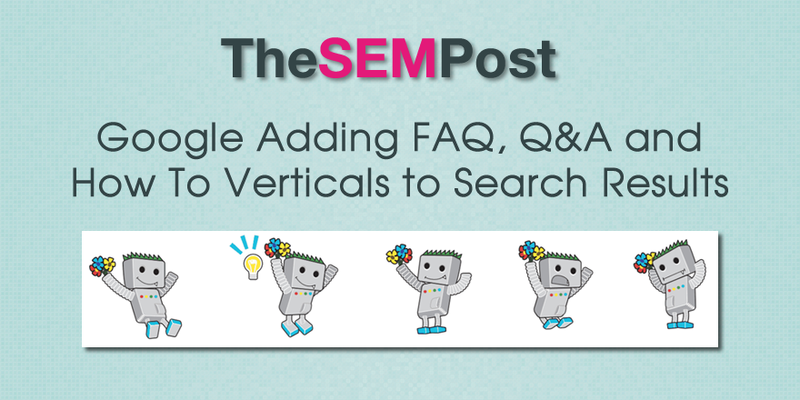 The new feature would see specific content from a webpage, including FAQ, Q&A and how-to verticals being highlighted in the search results for those pages. And these rich results take up nearly the entire screen on mobile. Akhil Agarwal shared a screenshot of the slide showing off the three new features. The FAQ version seems to frequently asked questions with expandable answers. 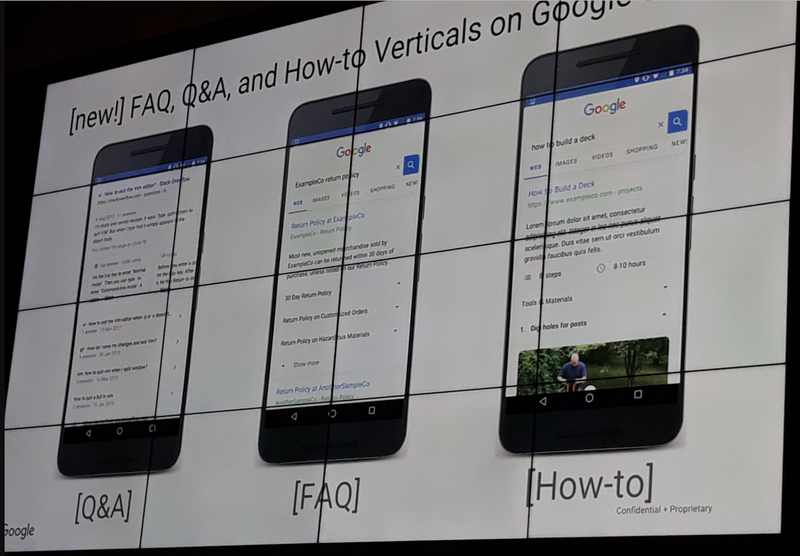 The Q&A looks similar to something we have seen already (particularly on Quora and Reddit results in the search results), where there is a question, and then multiple answers appear below in carousels. The how-to seems to be a spinoff of recipes, with number of steps, length of time, materials required and then expandable steps. This obviously puts a lot of content directly into the Google search results, rather than a visitor going to the website itself. For the Q&A, you can see the “more” link, so the full answer isn’t being displayed, merely a snippet. For the other examples, it isn’t as clear, however for the example “how to build a deck”, the overview shown in the search results would likely be very condensed compared to what is seen on the actual page. However, for those that do claim pages for this, there are definite benefits. In these examples, nearly the entire space on the screen is taken by the one result. This is a huge amount of screen real estate, and is much more than a typical search result and most featured snippets. It is very likely that these results use the relevant schema that would trigger this in the search results. There is the QAPage, Question, and How-to schema available, however Google hasn’t added them to the supported schema list yet. So if you have a site with any of this content, it is probably smart to add the schema to those pages, so that it can be displayed in the search results when Google does begin using it in the search results. This would also mean sites can control whether or not they want to have their relevant pages displayed in this fashion or not. This doesn’t appear to be live in the search results yet. And it isn’t clear if this will be a mobile only feature or if it will also be displayed in the desktop search results too.